Each night, once the Rodeo dust settles, a superstar takes the stage to entertain the crowds. The star entertainers begin performing after the last rodeo event is completed each evening and the stage is set. Actual start times for the concert can vary day to day due to the different number of rodeo competitors and other production elements. Weekday rodeos start at 6:45 p.m. The entertainer takes the stage at approximately 8:45 p.m. NRG Stadium gates open at 6 p.m. Weekend rodeos start at 3:45 p.m. The entertainer takes the stage at approximately 5:45 p.m. NRG Stadium gates open at 3 p.m. Legendary Rock and Roll group Santana are famous for blending jazz, rock, salsa and Latin-infused rock melodies to produce some of the greatest hits of all time. The group gained traction in the 1970s, racked up several Billboard Top 10 hits and two No. 1 albums before going their separate ways by the late 90s. 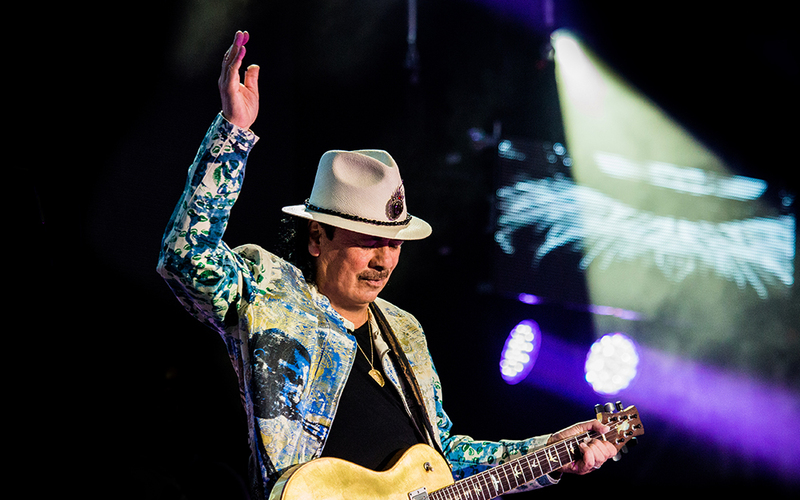 After being inducted into the Rock and Roll Hall of Fame in 1998, the band’s front man and guitarist, Mexican-American Carlos Santana, staged one of the most epic comebacks in music history. “Supernatural,” Santana’s comeback album, was the most popular album of 1999, and spent multiple weeks at No. 1 on the Billboard 200 chart. The album sold 30 million records worldwide, garnering a 15-time platinum certification. Easily one of the most popular albums to date, “Supernatural” produced the band’s first No. 1 hit on Billboard’s Hot 100 chart with the ever-popular single “Smooth,” and picked up eight GRAMMY wins during the 42nd annual GRAMMY Awards that same year. The band’s success is largely due to the talents of Carlos Santana, who is known as one of the best guitarists of all time. In 2009, Carlos Santana was awarded the Billboard Lifetime Achievement Award for his contributions to the music industry. Santana will debut at RODEOHOUSTON on Wednesday, March 13. 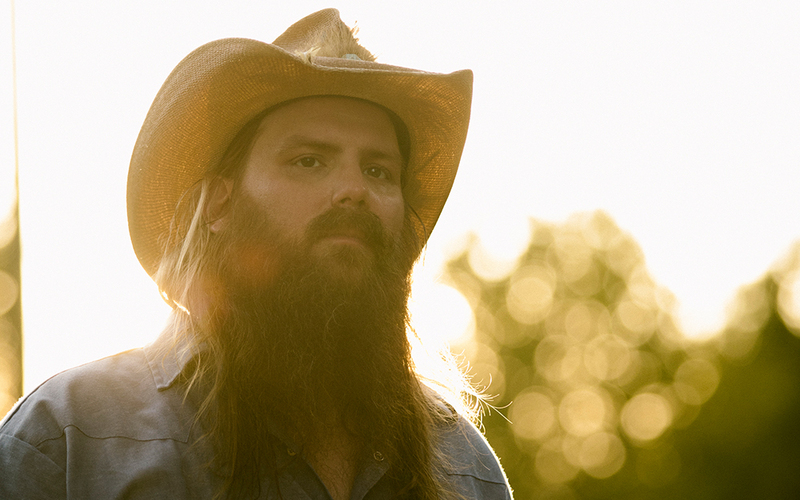 Kentucky native Chris Stapleton backs a more-than-a-decade-long songwriting career penning chart-topping hits for superstars George Strait, Patty Loveless, Tim McGraw, Miranda Lambert and Adele to name a few. In 2015, Stapleton became an overnight success with the release of his first solo album, “Traveller.” The album reached the No. 1 spot on Billboard’s Top Country Album chart and received four GRAMMY nominations quickly after its debut. Reigning Country Music Association Male Vocalist of the Year, Stapleton is known to captivate an audience with his deep, raspy and soulful voice. His traditional country sound earned him nine Academy of Country Music awards and 13 CMA awards, among several others from respected industry associations. He currently has five GRAMMYs to his name and is nominated for three more in 2019. Stapleton has written and performed music with some of the industry’s greatest stars, but his greatest joy comes when singing on stage with his wife of 11 years, Morgane. In 2018, the couple welcomed twin boys and became a family of six along with their eight-year-old son and six-year-old daughter. The two-time Billboard Top Country Artist will return to RODEOHOUSTON® for the third time on Thursday, March 14. 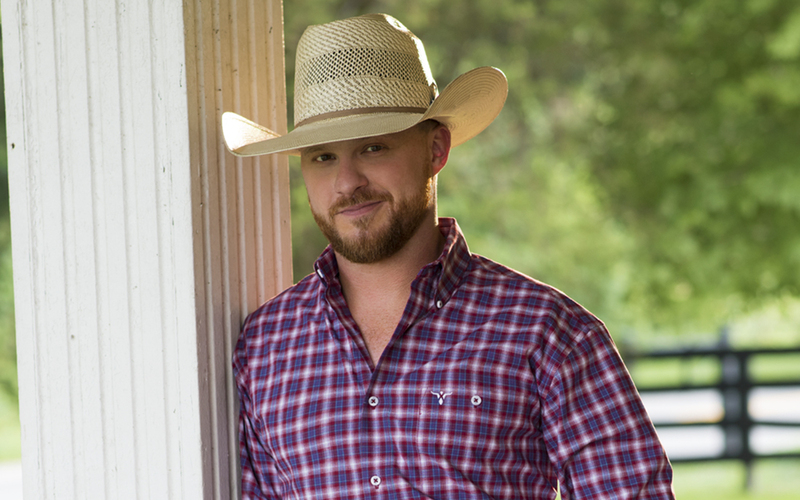 For Texas country singer Cody Johnson, his dream of making it in country music came true in 2014 when his first chart-topping album, “Cowboy Like Me,” reached the Top 10 on Billboard’s Top Country Albums chart. Nine of the album’s 13 tracks, including hit single “Me and My Kind,” were written or co-written by the artist proving Johnson is not only a talented singer, but also a songwriter. The release of “Gotta Be Me” in 2016 debuted at No. 2 on Billboard’s Top Country Albums Chart, an impressive feat for an independent artist. Now co-signed with Warner Music Nashville, Johnson’s seventh studio album is set to release on Jan. 18, 2019. The album’s single, “On My Way to You,” is already climbing the Billboard charts, breaking into the Top 25 on Country Airplay shortly after its release. Johnson faced challenge on his road to the spotlight, independently releasing five albums before seeing mainstream success, and turning down several major label music contracts before agreeing to sign with a major label in June 2018. Under the label CoJo Music/Warner Music Nashville, Johnson is part of one of country music’s largest label groups while still maintaining some control over his personally-owned record label. Returning to RODEOHOUSTON® for the third year in a row, Johnson will perform on Friday, March 15. 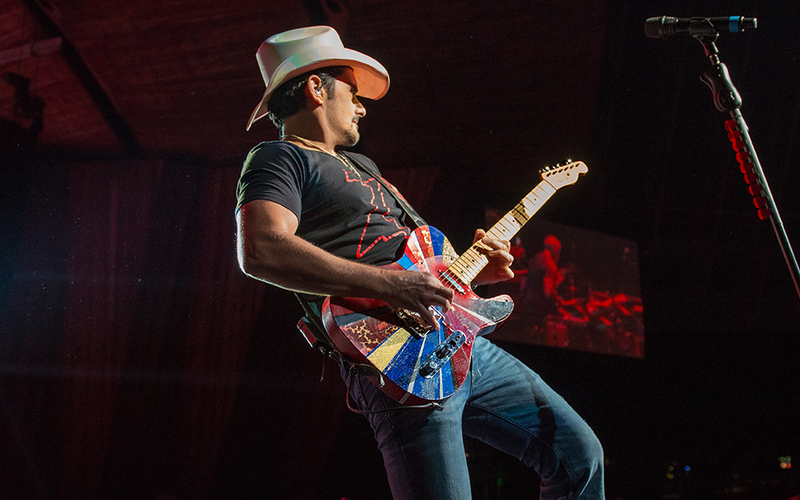 Brad Paisley has entertained fans as a singer, songwriter and guitarist since 1999. Throughout his career, Paisley has earned multiple prestigious awards for his vocal and musical talents. Perhaps the pinnacle of his career, however, was in 2010 when he was named Entertainer of the Year at the 44th Annual Country Music Association Awards. A talented songwriter, Paisley has written or co-written 21 of his 24 No. 1 hits. His latest album, “Love and War,” features 16 hits with Paisley as the lead songwriting credit, including “Today” and “Last Time for Everything.” The album is Paisley’s ninth consecutive studio album to debut at No. 1 on Billboard’s Top Country Albums chart. Like many artists, Paisley has an incredible platform which he utilizes to give back to the community. In 2001, he founded the Brad Paisley Foundation which supports a variety of charitable organizations including the American Cancer Society and St. Jude Children’s Research Hospital. Longtime RODEOHOUSTON® performer, Paisley will return to the Rodeo on Saturday, March 16 for his 12th performance. Concert-only performance begins at 7 p.m.
More than 35 years ago, George Strait debuted at RODEOHOUSTON as a newcomer to the country music scene. Since then, he has become a household name with 33 platinum or multi-platinum-selling albums, the most in all of country music, and 60 No. 1 singles, the most of any artist of any music genre in history. He is a member of the Country Music Hall of Fame, holds a GRAMMY® for Best Country Album with “Troubadour” and more than 60 music and entertainment industry awards. In 1996, Strait was inducted into the RODEOHOUSTON Star Trail of Fame in recognition of his musical contributions to the Houston Livestock Show and Rodeo. He is one of only eight artists to receive this award since the first entertainer performance in 1942. In 2013, the first four-year Houston Livestock Show and Rodeo George Strait Scholarship was awarded through the Rodeo’s scholarship program in honor of his partnership and friendship with the Rodeo. To date, Strait has entertained more than 1.5 million RODEOHOUSTON fans. His return to RODEOHOUSTON in 2019 will mark his 30th performance at the Rodeo, and his only performance in Texas for the year. 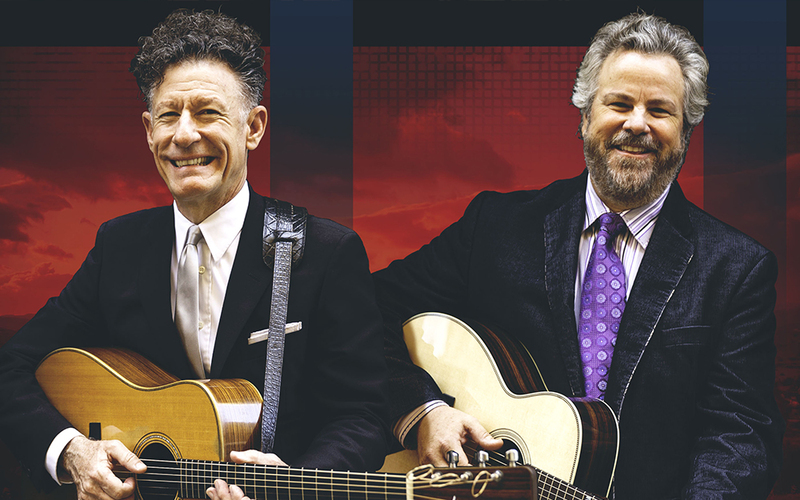 A man of many talents, Lyle Lovett is an iconic singer/songwriter, creative actor and skilled horseman. Raised on a horse ranch in Klein, Texas, just 30 minutes northwest of Houston, Lovett began to pursue a career in music in the late 1970s while attending Texas A&M University. He will return to Houston on Sunday, March 17, in his first RODEOHOUSTON® appearance since 2002 to perform with fellow iconic Texas musicians, George Strait and Robert Earl Keen, in a concert-only performance to close out the 2019 Houston Livestock Show and Rodeo™. The name “Robert Earl Keen” resonates with country music fans across the state, as he is one of the most highly-regarded Texas singer/songwriters of this generation. A native of Houston, Keen began his musical career more than three decades ago while attending Texas A&M University alongside his longtime friend and fellow musician, Lyle Lovett. Together, they wrote “The Front Porch Song,” and the rest is history. Over the last 30 years, Keen has built a reputation as a musical storyteller with an incredible ability to write songs that listeners can relate to on a personal and emotional level. His talents have earned him songwriting credits for some of the biggest country artists of all time, including Johnny Cash, Willie Nelson and George Strait. Now with 18 albums under his name, complete with songs penned by the artist himself, Keen is living his lifetime dream performing to sold out shows across the country. 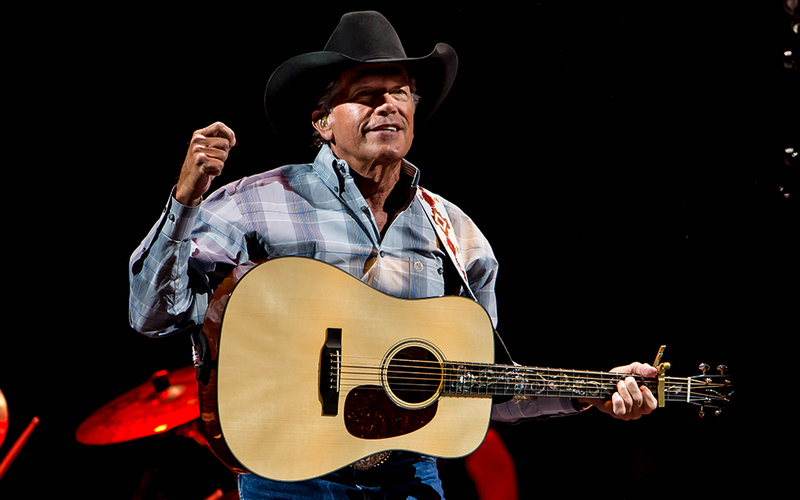 He will return to Houston on Sunday, March 17, in his first RODEOHOUSTON® appearance since 2006 to perform with fellow iconic Texas musicians, George Strait and Lyle Lovett, in a concert-only performance to close out the 2019 Houston Livestock Show and Rodeo™. 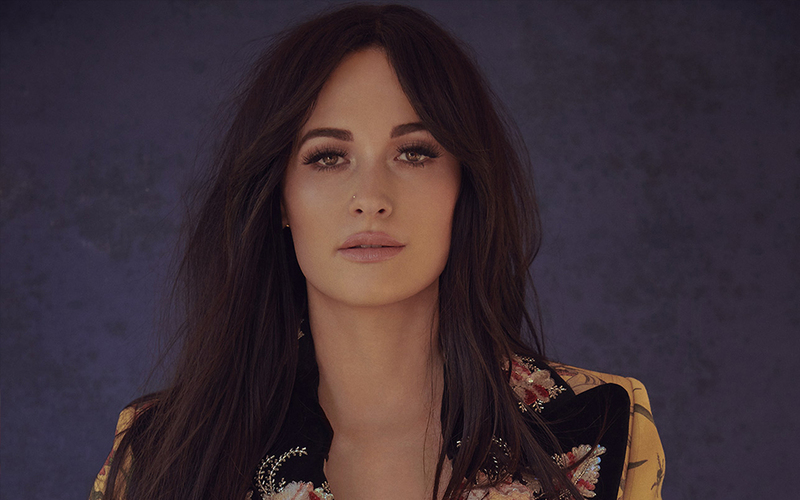 One of country music’s rising stars, Kacey Musgraves is a small-town girl from East Texas that has achieved great success early on in her career. In the nearly six years since she released her debut album “Same Trailer, Different Park,” Musgraves has released 15 singles and four studio albums, with three albums reaching the No. 1 spot on the Top Country Albums chart. Musgraves’ success is likely attributed to her classic country sound, combined with a bold personality, which has elevated her to a level some young artists can only dream of achieving. During her breakout year in 2013, she won Best Country Song and Best Country Album during the 56th annual GRAMMY® Awards. Her latest album, “Golden Hour,” features 13 tracks written or co-written by the artist herself and several tracks from the album are steadily climbing the Billboard charts. Musgraves will kick off the Houston Livestock Show and Rodeo™ during RODEOHOUSTON® on Monday, Feb. 25. The son of Dominican Republic immigrants, first-generation American and Latino artist Prince Royce grew up in The Bronx, one of New York City’s five boroughs, drawing music inspiration from traditional Dominican bachata dance hits and urban style. Much like his four No. 1 Billboard Hot Latin Songs: “Corazón Sin Cara,” “Darte un Beso,” “Las Cosas Pequenas” and “El Verdadero Amor Perdona,” Prince Royce’s hits are an ode to his culture, family and Dominican roots. 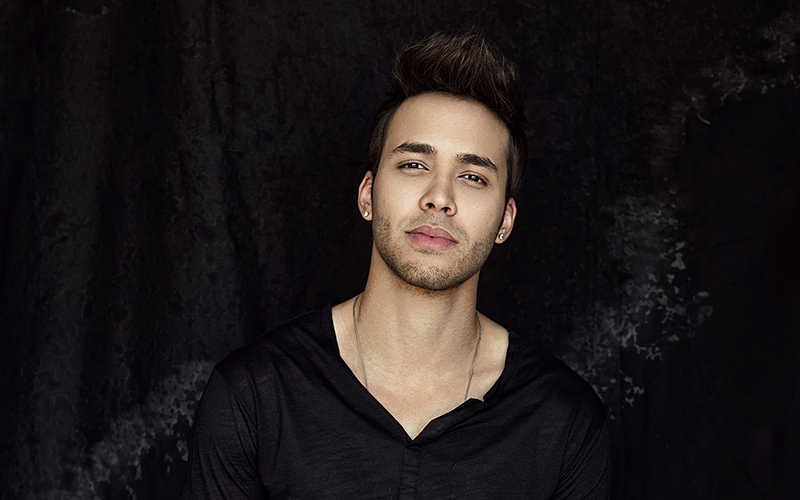 An 11-time Latin GRAMMY nominee, Royce received mainstream success at an early age, releasing his self-titled debut album in 2010 at just 20 years old. Since then, he has released five studio albums, 15 radio singles and maintains an impressive following online with more than 2 billion streams and 45 million-plus followers on social media. His latest album, “FIVE,” debuted at No. 1 on Billboard’s Latin Albums chart in February 2017, setting the bar as the highest first-week sales of any Latin album to date. One of Billboard’s Top Latin Artists of 2017, Royce will bring his chart-topping hits to the RODEOHOUSTON® stage for the first time on Tuesday, Feb. 26. 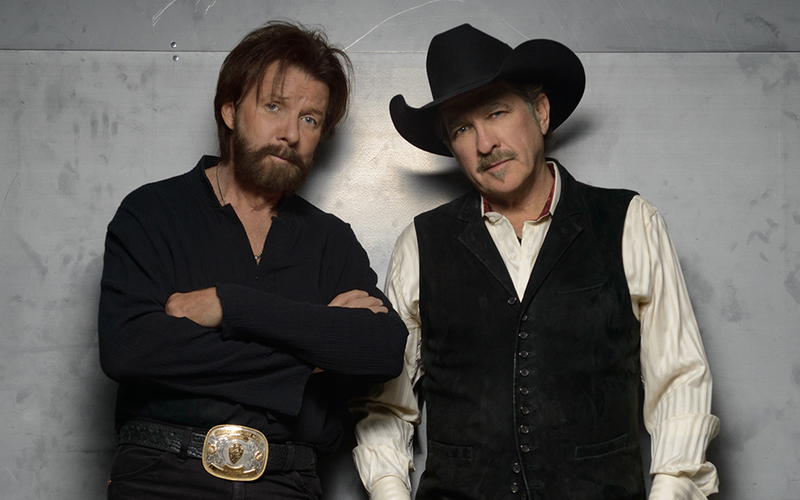 Nearly 30 years ago, Kix Brooks and Ronnie Dunn came together as Brooks & Dunn to become the highest-selling music duo of all time, surpassing musicians in the country genre and beyond. The duo’s debut album, “Brand New Man,” set the tone for their success, selling five million copies and releasing three hit singles, including “My Next Broken Heart,” “Neon Moon” and “Boot Scootin’ Boogie” — all of which are still widely popular today. Their catchy, rhythmic tunes dominated the 1990s dance craze, greatly impacting the country music industry with hits perfect for line dancing and two-stepping the night away. In 2015, the duo received the Academy of Country Music 50th Anniversary Milestone Award in recognition of their contributions to the country music industry. Brooks & Dunn have entertained more than 1 million RODEOHOUSTON® fans, and, in 2008, they became the first and only duo to be inducted into the Rodeo’s Star Trail of Fame. The duo will return to the RODEOHOUSTON stage for the first time in nine years on Wednesday, Feb. 27. 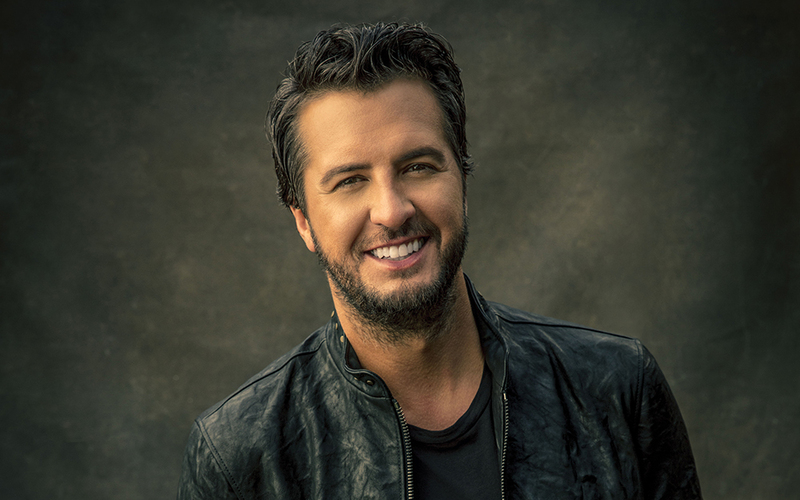 Known for his upbeat party jams, Luke Bryan began his career in country music writing songs and performing gigs in Statesboro, Georgia, home of his alma mater Georgia Southern University. Since the release of his debut album, “I’ll Stay Me,” in 2007, Bryan has become one of the most popular country music artists among young fans across the nation, not only for his musical talents, but also his ability to perform. Winning back-to-back Entertainer of the Year awards from the Country Music Association in 2014 and 2015, it’s no secret Bryan knows how to put on a great show for his fans. To date, Bryan has released six studio albums with sales reaching more than 10 million copies, along with selling more than 40 million tracks. His songs have reached No. 1 on the Billboard charts 24 times and his music is streamed on Spotify by more than 4.9 million listeners per month. Thanks to the release of “Kill the Lights” in 2015, Bryan made history when he became the only artist to have six singles from one album reach No. 1 on the Billboard Country Airplay chart. Bryan will be making a stop in Houston in between filming Season 2 of American Idol, marking his eighth appearance at RODEOHOUSTON® on Thursday, Feb. 28. 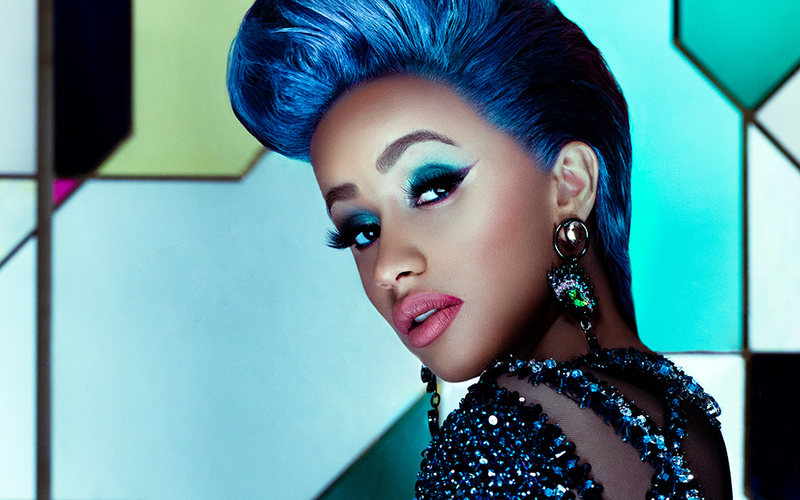 Raised in The Bronx of New York City, American rapper Cardi B gained attention in 2013 as a self-acclaimed “Internet celebrity” when several of her music videos went viral on Instagram. In 2015, she made her official musical debut joining Jamaican artists Shaggy and Popcaan in a remix video of Shaggy’s hit “Boom Boom.” Shortly after, Cardi B was nominated for both Best New Artist and Best Female Hip-Hop Artist during the 2017 BET Awards. Award-winning rap artist Cardi B will perform at RODEOHOUSTON® on Black Heritage Day, Friday, March 1. 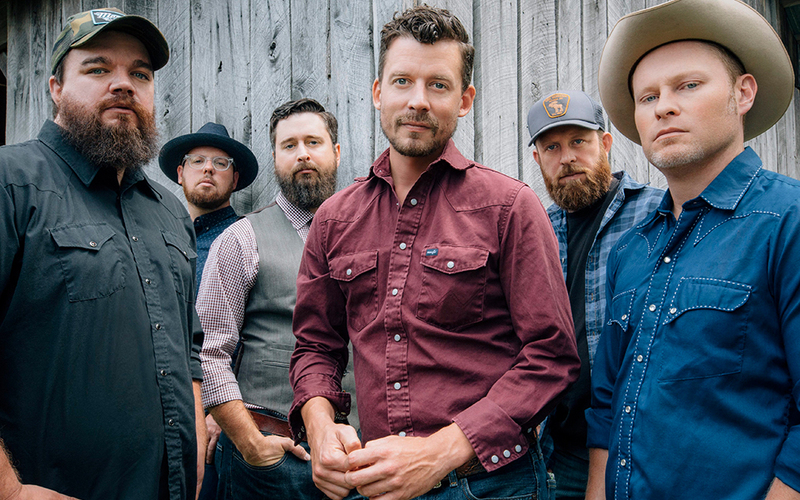 Although the band originated in Oklahoma, Turnpike Troubadours have swept the red dirt music scene, particularly in Texas, packing dance halls and venues across the state for the better part of the last decade. Playing more than 100 shows per year, lead singer Evan Felker, bassist R.C. Edwards, fiddler Kyle Nix, guitarist Ryan Engleman, drummer Gabe Pearson and steel player Hank Early, are arguably the most popular red dirt music group today. The band’s unique sound combined with Felker’s impeccable songwriting ability brings to life ballads of small-town love, challenge, loss and heartache that goes beyond penning harmonies to compelling storytelling with reoccurring, relatable characters. Lorrie, the most notable character, makes an appearance in several of the band’s hits including, “Good Lord Lorrie,” “The Mercury” and most recently, “The Housefire” from the band’s latest album “A Long Way from Your Heart.” The emotional relatability of these songs is synonymous across Turnpike Troubadours’ hits, keeping fans coming back for more year after year. With five studio albums under their belt, nearly half a million monthly listeners on Spotify and two top-five singles, the band shows no signs of slowing down any time soon. Turnpike Troubadours will perform to RODEOHOUSTON® fans for the first time Saturday, March 2. American alternative rock band Panic! At The Disco formed in 2004 between four high school friends from Las Vegas, Nevada. Best known for the 2005 hit single “I Write Sins Not Tragedies,” Panic! At The Disco’s debut album, “A Fever You Can’t Sweat Out,” sold nearly 2 million copies upon its release. With six studio albums, two Top 10 Billboard hits on the Hot 100 Chart, and 10 major music industry awards to their name, Panic! At the Disco is one of the most widely-known musical acts of the last decade. 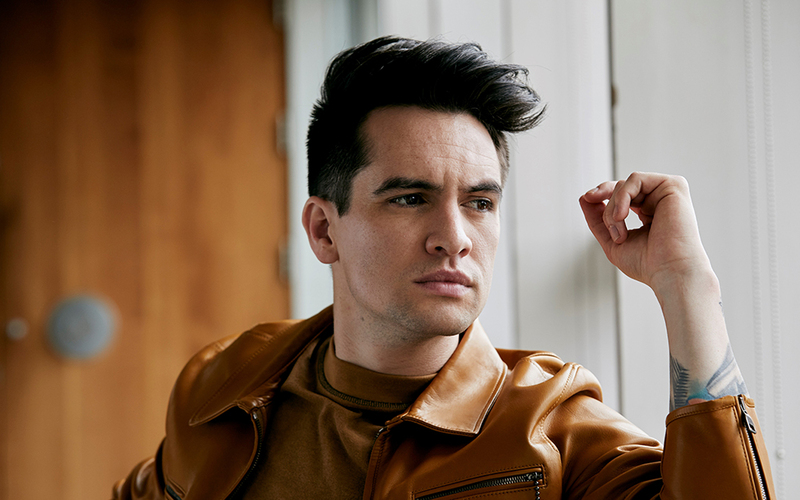 Brendon Urie, the only remaining member of the band, began making music on his own in 2015, releasing two solo albums: “Death of a Bachelor” and “Pray for the Wicked,” both reaching No. 1 on the Billboard 200 chart shortly after each release. With more than 18 million monthly listeners on Spotify, two-time GRAMMY nominee Panic! At The Disco lead singer Brendon Urie, has come a long way from performing in his parents’ Las Vegas garage. The reigning Rock Sound Awards Artist of the Year, Panic! At The Disco will perform at RODEOHOUSTON® on Sunday, March 3. 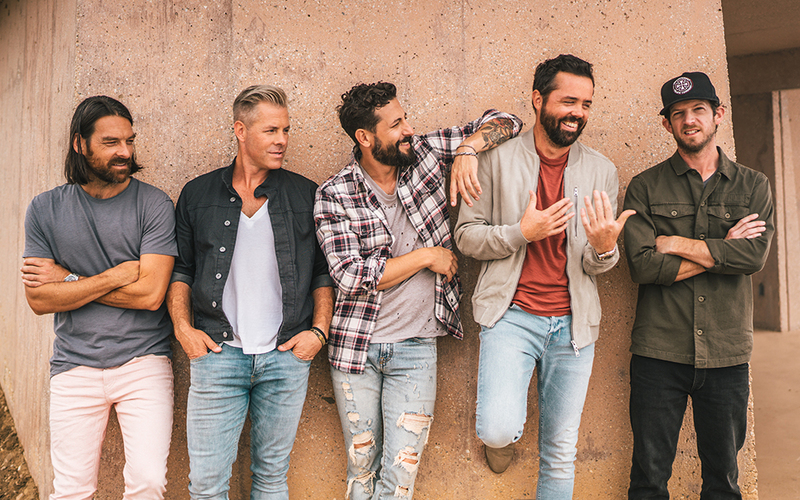 The group Old Dominion was born in Nashville when four Virginians: Matt Ramsey (lead singer), Brad Tursi (lead guitarist), Geoff Sprung (bassist), Whit Sellers (drummer) and one Michigander: Trevor Rosen (multi-instrumentalist), began performing gigs together in 2014. By the end of 2017, Old Dominion had five No. 1 singles and two Top 5 studio albums. “Happy Endings,” the band’s latest album release, debuted at No. 1 on the Top Country Albums Chart and No. 7 on the Top 200. A blend of traditional country mixed with modern pop vibes, Old Dominion’s unique sound catapulted them into the spotlight, earning them some variation of “Vocal Group of the Year” from every major country music industry award show each year since 2015. Before they were releasing Top 5 singles, the Old Dominion group members were penning hits for big-name country music stars, including Kenny Chesney, Blake Shelton and the Band Perry. In 2016, the group was recognized for their songwriting talents by the Association of Independent Music Publishers when they won Songwriter Artist of the Year. Old Dominion will travel to Houston to perform on the RODEOHOUSTON® stage for the first time Monday, March 4. Two-time, GRAMMY-nominated pop artist Camila Cabello broke out into the music scene when she auditioned for “The X Factor” in 2012, later joining Fifth Harmony and performing with the all-girl group for nearly five years. Since announcing her solo career, 21-year-old Cabello reached multi-platinum artist status with the most-streamed song on Spotify to her name. “Havana,” an ode to Cabello’s birthplace and Cuban roots, racked up 888 million streams in 2018, setting the record for Spotify’s most-streamed song ever by a solo female artist. Incredibly, Cabello reached much of her early solo-career success prior to releasing a studio album. In turn, when she released her debut album, “Camila” in January 2018, it quickly reached No. 1 on the Billboard Top 200 chart within one week of its release. By the time of the release, one of the album’s title tracks, “Havana,” was already a Billboard Top 100 hit and is now three times certified platinum. 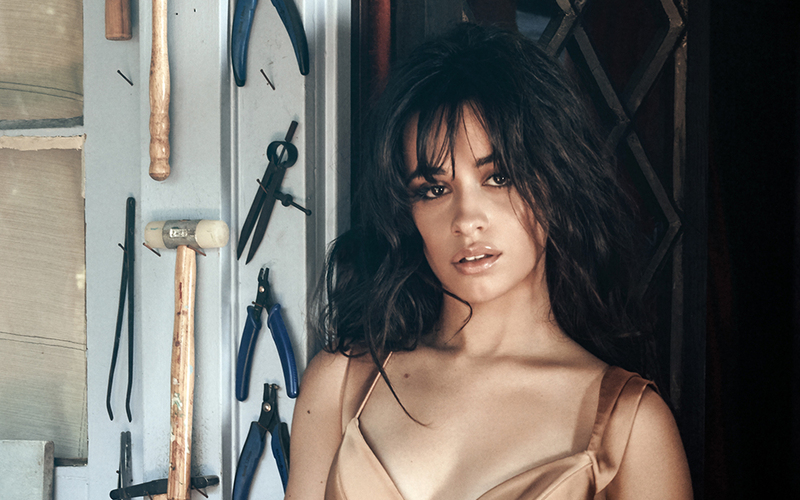 With two billion streams, 57 million followers from 65 different countries and 109 million hours of listening time on Spotify in 2018, Cabello is one of pop music’s hottest stars and is showing no sign of slowing down anytime soon. Cabello will perform for RODEOHOUSTON® fans on Tuesday, March 5. 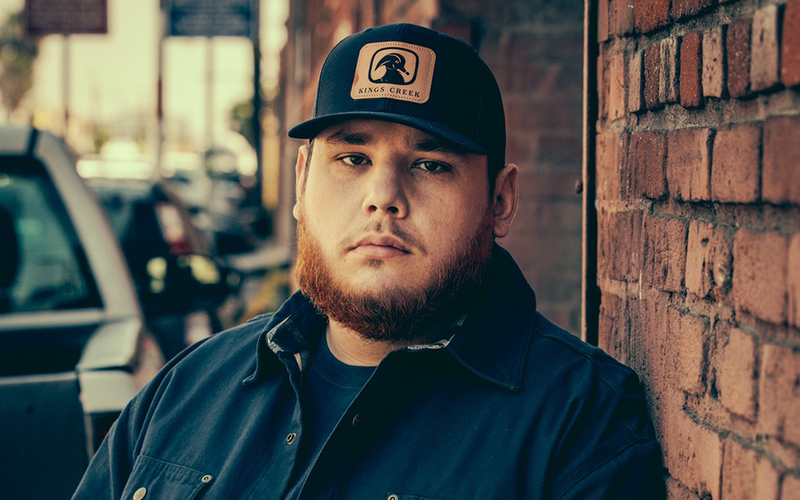 Born and raised in Asheville, North Carolina, Luke Combs began performing music in high school and college, officially moving to Nashville to pursue music full time in 2014. Moving to Nashville catapulted his career first as a songwriter, and eventually landing a record deal with Riverhouse/Columbia Nashville in 2017. That same year, he was nominated for Country Music Association New Artist of the Year and Academy of Country Music New Male Vocalist of the Year. Combs’ debut album, “This One's for You,” produced four No. 1 hits on Billboard’s Country Airplay Chart, including "Hurricane," “When It Rains It Pours” and "One Number Away.” When “She Got the Best of Me” reached No. 1 in October 2018, Combs made chart history by racking up his fourth consecutive career No. 1 hit, the first of any solo country artist. In addition, the album spent more than 15 weeks in the No. 1 spot on the Billboard Country Chart, earning recognition as the most-streamed country album of 2018 with more than one billion streams online. Combs, the reigning CMA New Artist of the Year, will bring his hits to the RODEOHOUSTON® stage on Wednesday, March 6. One of the most popular country stars of the 1990s and 2000s, Tim McGraw, a small-town kid from north Louisiana, began his career in country music more than four decades ago and is the most-played country artist on the radio since his debut in 1992. To date, McGraw has 43 No. 1 radio singles, 16 studio albums and a multitude of music industry awards to his name, including 20 GRAMMY nominations. 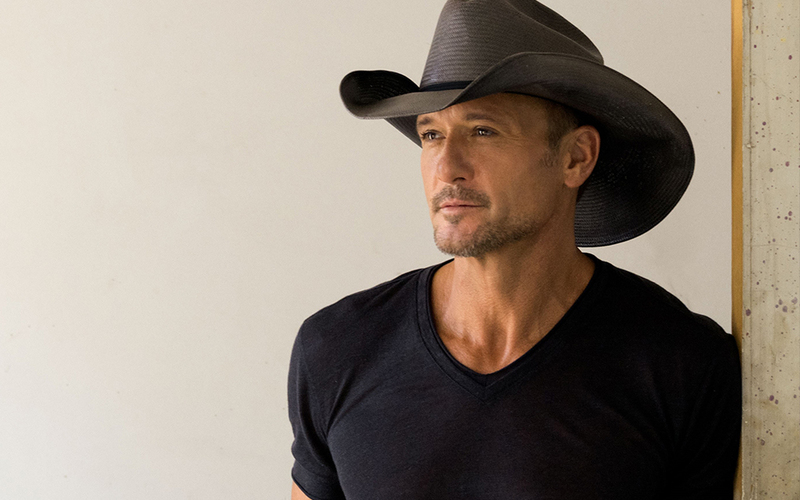 A multi-platinum selling artist with 4.1 million monthly listeners on Spotify and 13.6 million followers online, McGraw’s popularity hasn’t slowed one bit, and with the release of two new singles in 2018, “Neon Church” and “Thought About You,” a chart-topping album is sure to follow soon. On the heels of his sold-out Soul2Soul World Tour with wife and fellow county-music super star Faith Hill, McGraw will return to Houston for his ninth RODEOHOUSTON® performance on Thursday, March 7. GRAMMY-winning, multi-platinum artist, DJ and producer Zedd, began remixing and producing music in his home country of Germany in 2010 when he was barely 20 years old. The release of his debut album “Clarity” two years later put Zedd on the map in the U.S., topping the Billboard dance/electronic charts. Now with four No. 1 hits on the Hot Dance/Electronic Songs chart, four Top 10 hits on the Billboard Hot 100 and one of 2018’s hottest songs on Billboard, Zedd is at the top of his game. If you’ve listened to the radio recently, you’ve probably heard “The Middle,” a single that took pop radio by storm in 2018. The upbeat dance tune written and produced by Zedd features a collaboration with fellow EDM group Grey and up-and-coming country music star Maren Morris. Ranked No. 10 on Billboard’s 100 Best Songs of 2018 chart, the single tied the record for most weeks at No. 1 on the Hot Dance/Electronic chart, holding the top spot for 27 consecutive weeks and racking up 800 million streams on Spotify. 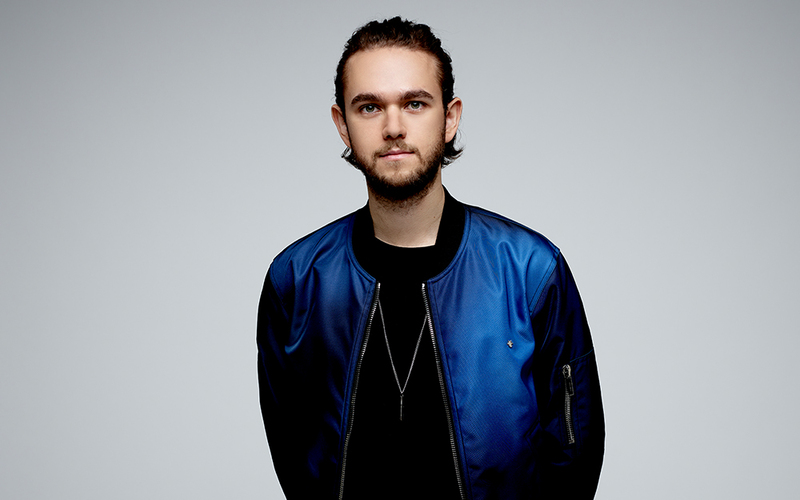 Zedd will travel to Houston to perform on the RODEOHOUSTON® stage for the first time Friday, March 8. Tennessee native Kane Brown is country music’s newest breakout star. His debut single, “Don’t Go City on Me,” went viral upon its release in 2014 thanks to a loyal following of nearly 4 million social media fans. Two years later, Brown signed a record deal with RCA/Sony Music Nashville and the rest is history. His self-titled, debut album followed shortly after and was an instant success reaching No. 1 on the Billboard Top Country Albums chart and No. 10 on the Billboard 200. In October 2017, he became the first country artist to have a No. 1 hit on all five Billboard country charts at the same time. “What Ifs,” a duet with fellow country star Lauren Alaina, held the No. 1 spot on the Country Airplay, Country Streaming and Top Country Songs charts, his single “Heaven” ranked No. 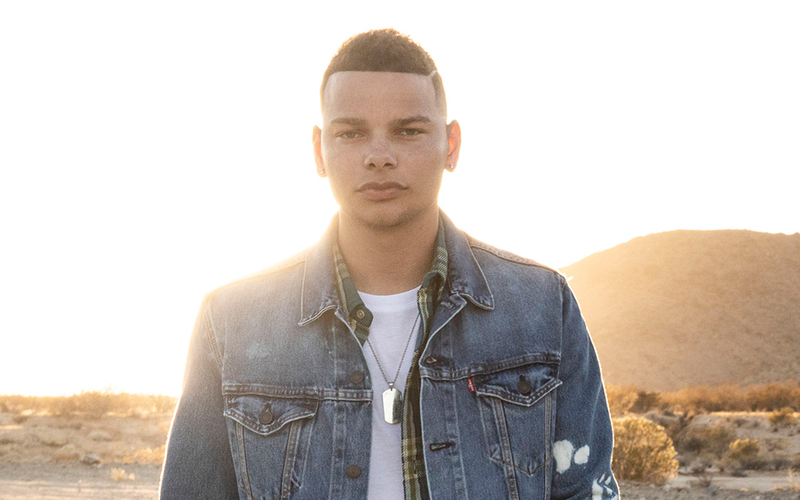 1 on the Country Digital Songs chart, and his deluxe “Kane Brown” debut album ranked No. 1 on the Top Country Albums chart. Brown has six No. 1 hits, multiple Country Music Association and Academy of Country Music Association nominations, and five million monthly listeners on Spotify, an incredible accomplishment for a young artist who signed a record deal less than four years ago. He will perform on the RODEOHOUSTON® stage for the first time on Saturday, March 9. Renowned norteño band Los Tigres Del Norte consists of five Mexican-American brothers from California. Performing together since the 1970s, Los Tigres Del Norte was the first act signed by the now famous Spanish-language record label, Fama Records. Signing with Fama helped the group elevate to the next level by upgrading to an electric style of music which included bass, drums and electric guitars and appealed to a growing group of Mexican-Americans. Released in 1972, the band’s breakout single "Contrabando y Traición" is still one of their most popular hits on the radio today. The single prompted a career most regional Mexican bands only dream of achieving, including 15 No. 1 hits on Billboard’s Regional Mexican Songs chart and 50 studio albums, 24 of which reached No. 1 on the Regional Mexican Albums chart. 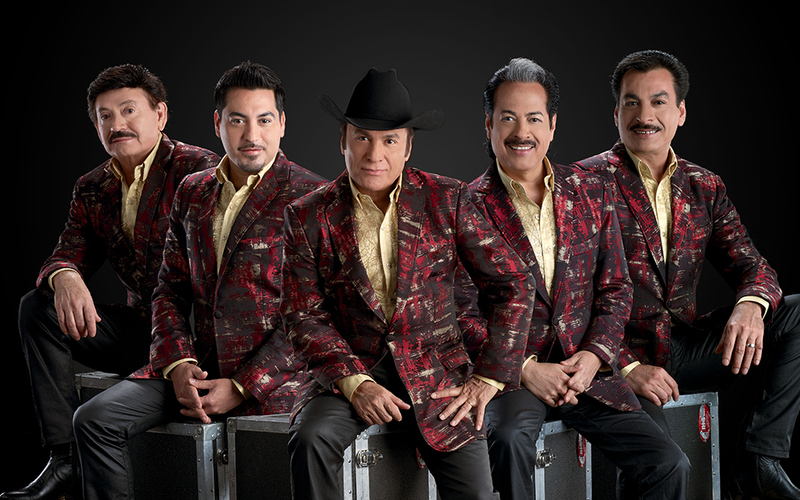 Los Tigres Del Norte will return to RODEOHOUSTON® to perform on Go Tejano Day, Sunday, March 10. The three-time GRAMMY-award-winning, multi-platinum Zac Brown Band became famous when their debut single, “Chicken Fried,” went platinum with more than one million downloads in 2008. 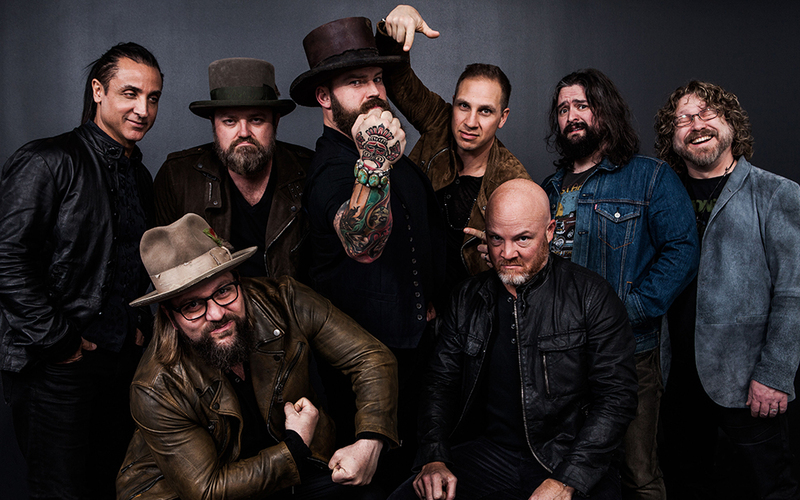 Lead singer Zac Brown has toured with bandmates Jimmy De Martini, John Driskell Hopkins, Coy Bowles, Clay Cook, Chris Fryar, Daniel de los Reyes and Matt Mangano for more than a decade writing and performing soulful ballads for sold-out shows across the world. In 2017, Zac Brown Band entertained more than one million fans during their Welcome Home World Tour, which included a stop at RODEOHOUSTON® in March. When “Welcome Home” reached No. 1 on the Billboard Top Country Albums chart that same year, it became the band’s fourth consecutive No. 1 album. To add to these accomplishments, the band also has 16 Top 10 singles and 13 No. 1 hits on the Country Airplay chart. Each member of the band is a talented musician, and during the 2016 GRAMMYs, they received The Recording Artists' Coalition Award in recognition of their musical achievements and philanthropic outreach. One of the many ways that the band gives back to the community is through Camp Southern Ground, a summer camp for children with learning or social challenges, founded by Zac Brown himself. To date, the band continues to donate $2 from each concert ticket sold to sustain the camp and provide scholarships for children to attend. RODEOHOUSTON is the fourth stop on the band’s 2019 Down the Rabbit Hole tour and will entertain fans on Monday, March 11. American rock band Kings of Leon began in the early 2000s when brothers Caleb, Nathan and Jared Followill teamed up with first cousin Matthew Followill in Nashville, Tennessee, to pursue music professionally. Their debut album, “Youth & Young Manhood,” became an instant success overseas, earning the band a loyal fan base in the U.K. along with platinum album sales. Seven studio albums later, Kings of Leon have two No. 1 albums on the Official U.K. Albums chart and five No. 1 hits on Billboard’s Alternative Songs chart. In 2009, “Use Somebody” from the band’s fourth album, “Only by the Night,” went platinum in both the U.S. and the U.K. and earned the group two GRAMMY awards for Record of the Year and Best Rock Performance that same year. The band’s latest album release, “Walls,” debuted at No. 1 on the Billboard 200 chart and produced the chart-topping hit single “Waste a Moment” in 2016. With more than eight million monthly listeners on Spotify and 12.5 million followers on social media, Kings of Leon are considered one of America’s most popular contemporary rock bands. 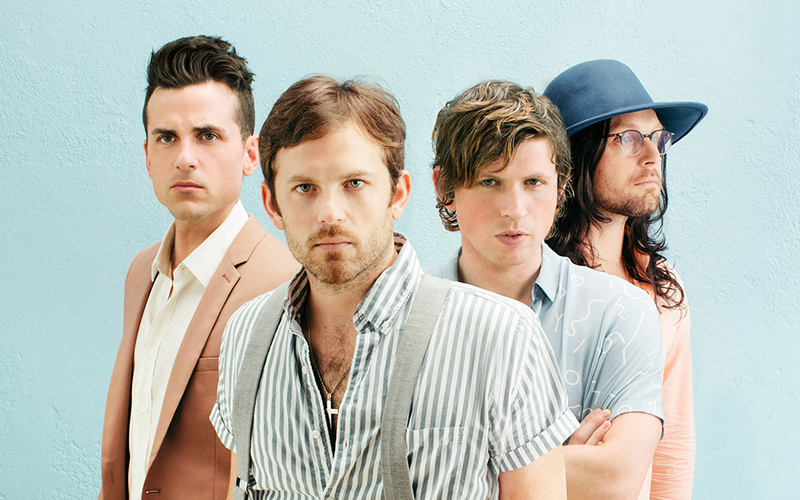 Kings of Leon will perform on the RODEOHOUSTON® stage for the first time on Tuesday, March 12.